Travel theme: Freedom | Where's my backpack? My last post about the Cadillac Ranch has me yearning for the freedom of the open road once more. To quench the wanderlust that is starting to flood my senses, I have been looking through photos of past travels for shots that embody the spirit of freedom. 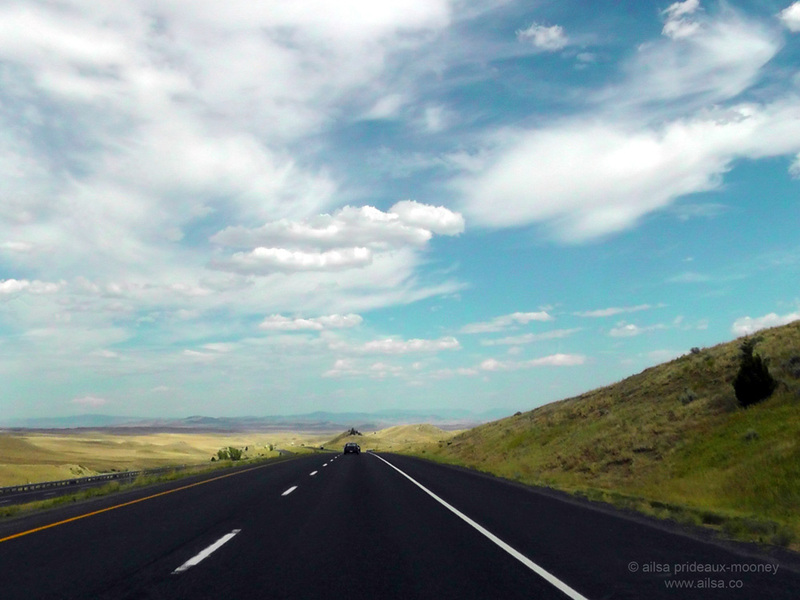 Of course I began with the open road, this one under the big skies of Montana. A different type of freedom now, the freedom of expression, represented by this glorious stack of books at the Beinecke Rare Book and Manuscript Library in New Haven, CT.
To escape the hustle and bustle of New York’s concrete jungle, I would head out to the Far Rockaways where the crashing waves released feel-good ions to soothe my soul and free my spirit. Last but not least, beautiful wild horses roaming freely on the slopes below Mount Leinster. This entry was posted in Photography, Travel and tagged inspiration, photography, photos, pictures, postaday, travel, weekly photo challenge, writing. Bookmark the permalink. Believe it or not… every time I see a young lady walking along an Irish country lane or the canal it spells freedom to me!! Leaving the car unlocked… or a window open… or even coming home to find the front door key still left in the lock… that screams FREEDOM!! I’ll add, we’ve been in Ireland for almost 14 years and yet, the concept of freedom is still valued and appreciated by us!! I know this is not utopia but man… my GLW said something not long after we arrived here… “one can’t eat sunshine…” That simple statement always reminds me of the freedom we so enjoy here!! Beautiful and special examples of freedom, Ailsa! The photo of the sea is breath taking. Alcatraz, how fitting. i have yet to make it out to the island, Marion, but will someday.It looks so foreboding. It was stark and impressive, Ailsa. Not a place to spend a relaxed night, brrr. It does look fun, doesn’t it? I was too afraid of breaking it though! Hi Ailsa, Love that shot of the sea at Far Rockways. For me, Freedom is always about the sea. Here is my entry for this week. I chose Seagulls in flight. Wonderful choices to express Freedom, Ailsa. Well done. Wonderful theme – again, Ailsa! I needed some hours for this one…and I just had to use one of your thoughts as well…so, here it is. Pingback: Travel theme: Freedom | Oh, the Places We See . . .